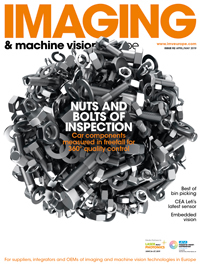 The technical advancement of image sensors for Machine Vision brings higher spatial resolution resulting in larger sensors and smaller pixels. This development created big challenges for vision system designers as it was difficult to find the right lenses for such sensors: High resolution power, strong light transmission, distortion-less imaging, short minimum object distance (MOD), a small Chief Ray Angle (CRA), and all this from the center to the edges of the large image circle – these were just the optical requirements. Equally important remain the compact build of the lenses and their robustness against shocks and vibrations. FUJIFILM thoroughly listened to the needs and pain-points of its Machine Vision customers and created the CF-ZA-1S series to meet all the above-mentioned requirements and goes even beyond. The CF-ZA-1S lens series is designed for use with all standard machine vision cameras that use C-mount, an image sensor of up to 1.1” optical format, and pixel pitches from 2.5 µm, which equals up to 23 megapixels. The MOD is just 100 to 200 mm and the maximum CRA is at 4.9° as required by the latest high-resolution sensors. This guarantees a high relative illumination across the entire image without vignetting. FUJINON’s patented Anti-Shock and Vibration design limits shifts of the optical axis to 10 µm and ensures constant resolution power in the typical, rough manufacturing environments. These lenses also come with knurled screws which cannot accidentally fall out anymore and get lost or damage sensitive manufacturing machines during installation or maintenance. All these features are designed in a compact build with the world-smallest external diameter of just 39 mm for the 1.1” optical format. The series provides a lineup of six different lens models with different focal lengths from 8 to 50 mm, allowing customers to choose the lens most appropriate for their desired application. The CR-ZA-1S is the universal one-for-all solution of modern machine vision systems. It will be available from Q1 2019. © 2019 Europa Science Ltd.